← Christmas in July Sale starts Wednesday! Have you seen this lovely design? It may look intimidating, but is really quite simple ~ just a few short rows and yarn changes, slips and knits. And it is working up amazingly fast and gorgeous. Cast on was Thursday night, and here’s a photo of the back with about half the bottom band done … will post more as time and progress permits. 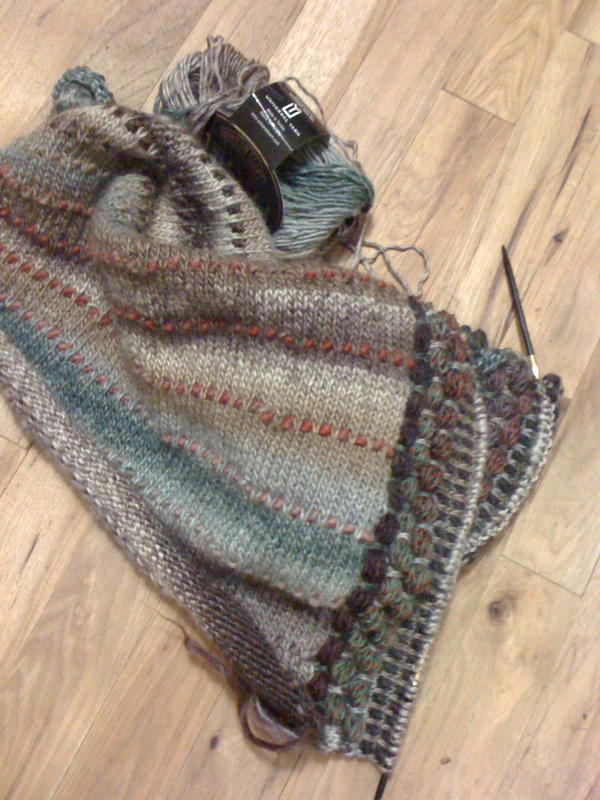 There is a great project page on Ravelry that also comments piece by piece … here’s the link: http://www.ravelry.com/projects/manhattanmarg/09-folkloric-tunic, she’s way ahead of me! And if you’d like a KAL on this project just let us know, we have lots of yarn options I’m thinking would work for this jewel of a knit!